Black Couples Outfits. Everyone loves when couples twin and some couples enjoy doing everything together. And definitely all is fair in love and shade. Matching couple outfit idea is a romantic way to make a style statement. Some love to wear identical statement pieces and some couples coordinate to match only colors and patterns. However, one thing that’s common is that they feel proud and loved in doing so. There are a lot of matching tees, shirts, hoodies jackets and lot of colored coordinated stuff to show your love. Want to express love through matching fashion outfits, then dress yourself and your partner with these matching outfit ideas. 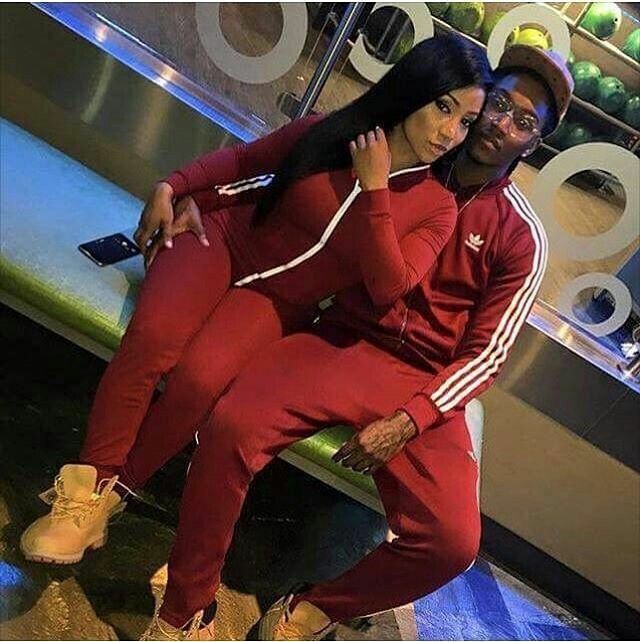 We have presented all possible matching outfit ideas for black couples for any occasion, whether it is a Prom, engagement or wedding event, you are planning for a movie or want to spend and enjoy the maternal period with your bae. 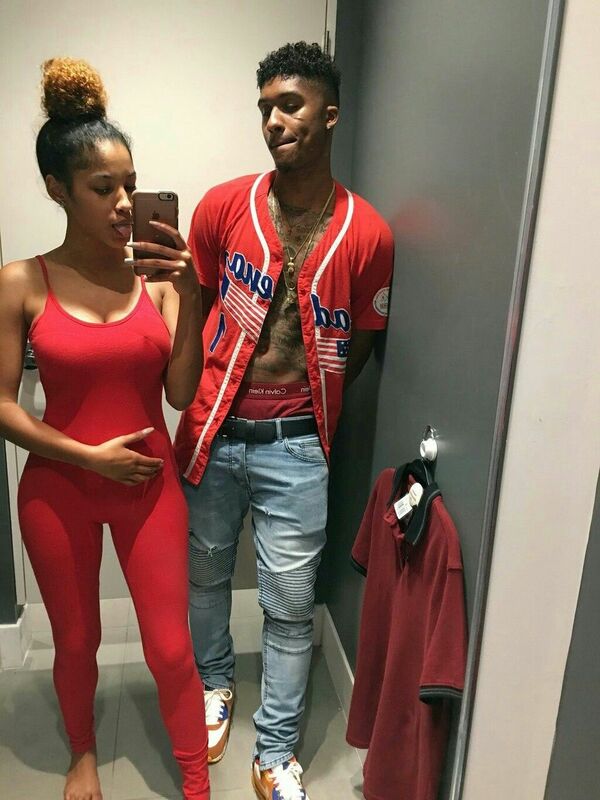 Here are matching couple outfits ideas for black couples where you and your boo can rock and look cool together. Scroll down through these 18 cute matching outfit ideas for a beautiful relationship goal. Great matching outfit idea by celebrity inspired couples. Black matching tuxedos is a cool matching idea for black couples on an event. Another great idea for black couples to wear on any family reunion is matching floral silk Ankara style patterns. Matching shirt of your partner with your maxi is really gorgeous and beautiful and you can make it even more special by making your little one a part of this. If you and your man both are enjoying the maternity period, then this matching outfit idea is great to make these days even more special. 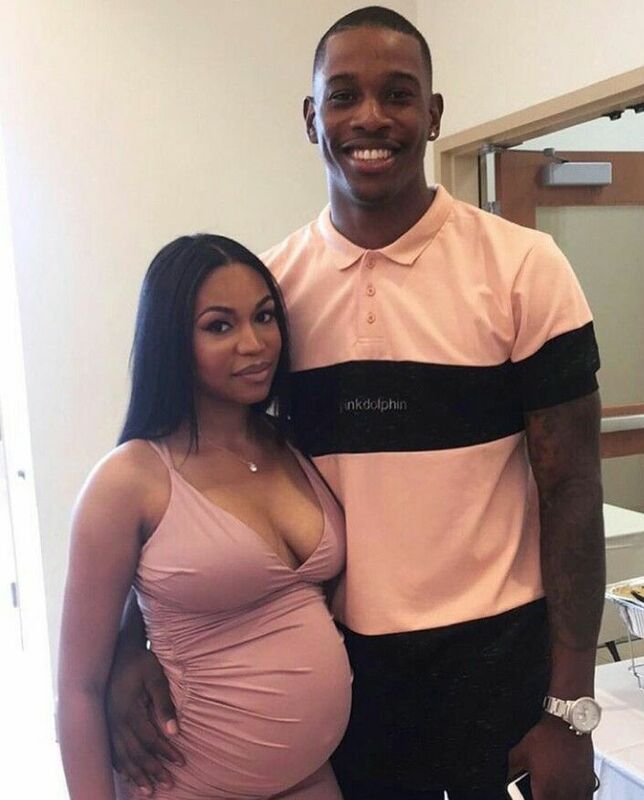 The girl is wearing a pink maternity outfit which is matching with his partner’s pink T-shirt. Love is simply in the air around them, isn’t it? The couple is rocking with matching blazers. Romantic red blazers of couple is expressing love in a stylish way. The girl’s in a red blazer with a striped skirt and the guy is wearing the same color of his blazer with pants. This look would work great for Valentine’s day date. The hip hop summer style is cool, both are wearing the same urban style trousers with white tees. Blue shirts with denims and brown boots are a cool idea to flaunt when you’re looking for matching outfits. I mean forget denim on denim, blue on blue is way cooler. And guys, don’t forget to check out this guide on how to Wear Blue Suits with Brown Shoes- Ideas for Men. For a cute and innocent look, wearing the same graphic shirt is a great idea. A graphic designed flag shirt as top is really one of the many fun style of matching outfit ideas for black couples. Wearing matching pants and shorts is also a good and easy idea that you can enjoy together for the moment of love. The boy here is wearing maroon pants with a white tee and black jacket. The girl has matched her short’s color with the boy’s pants, and she is wearing it with a printed colorful blazer. And how cute is their idea of going for the same shoes! Check this matching traditional prom dress for this couple. The girl is wearing a backless blue open prom gown. The boy has colour coordinated his outfit by choosing accessories to match the colour like his bow-tie and pocket square. Check out these 25 Celebrities All Black outfits Styles for Fall to Copy. Have a look at this matching urban swag. Hip-hop, edgy and stylish looks are dominating the urban trend right now so why don’t you hop on. 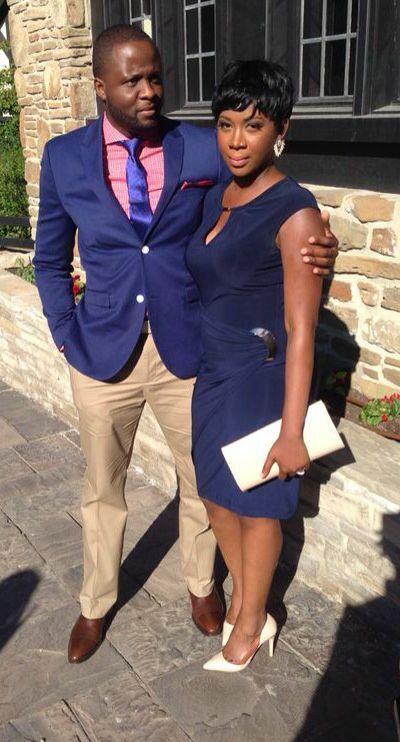 We love this couple’s matching wedding guest attire. How beautifully have they matched their outfits color in a bold and beautiful way? Check this matching outfit style of black couples from Africa. How He and She have beautifully matched the golden fabric pieces of their jumpsuit and maxi top. If you’re looking for royal vibes, golden is always the colour to go for. 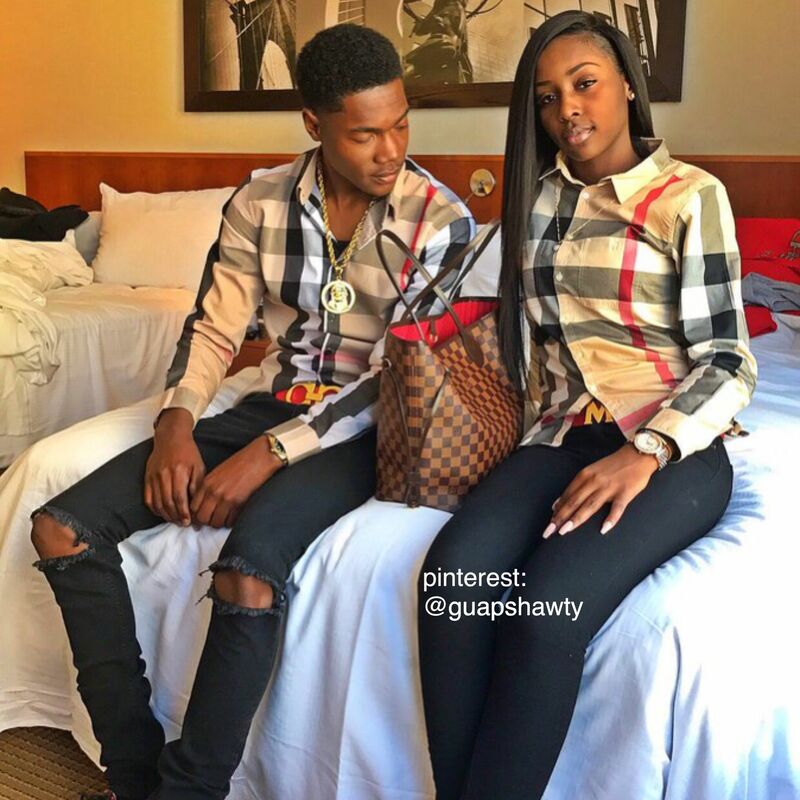 Another of the other best and chic ideas is the matching Burberry Plaid Shirts like this couple. Their outfit is presenting a real matching couple goal in a cool and cool and casual way. The engagement shoot of a black couple in all white is really inspiring and stunning. And of course, this isn’t just reserved for occasions, if you’re simply in the mood for a photoshoot, opt for the angelic looks in white. The Bahamian Prince and Princess are rocking in their matching color of Sari and Kurta in a stylish way. 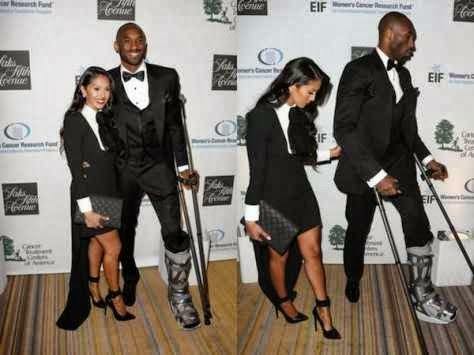 The matching outfit is ideal for any traditional event for black couples. Here are 17 Most Swag Outfit Ideas for Black Girls. Slay together on the movie night with this matching outfit idea. The matching long trench coat is really cool and coordinating in a chic stunning style for movie night. If you are planning to go outside for a game with your partner, then try this fit matching adiddas outfit. For more ideas, check out 45+ Most Popular Adidas Outfits on Tumblr for Girls. This outfit idea is not just simple and chic but also affordable for all couples to wear together. Red is always a great colour for darker skin tones so go ahead and give this a try.